Some of you know where I’ve been. Others might like to play my little guessing game. 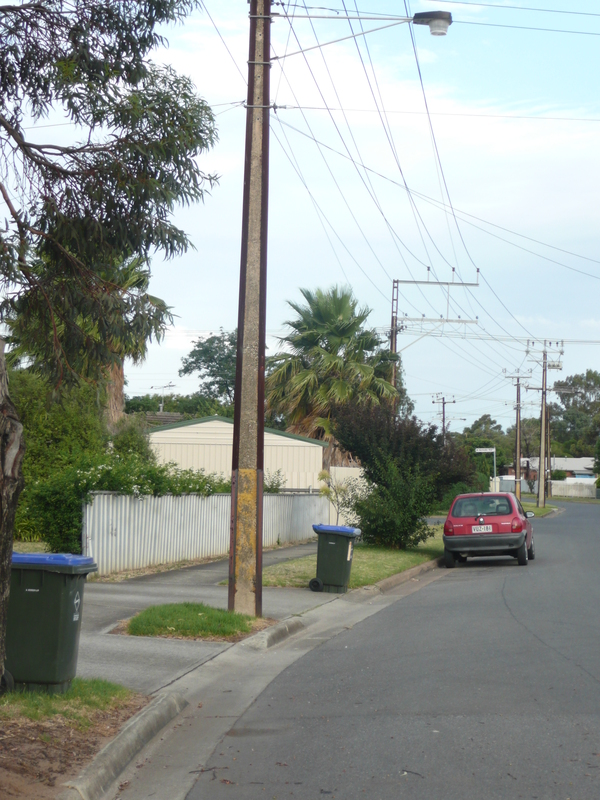 There’s only one place where this kind of power pole is prolific (although they do appear in small colonies elsewhere) – they consist of concrete poured between two sets of railway lines and set perpendicular in the ground and they last for years. They have a particular name which I will reveal in the next day or so. This is to guard against the Google/Wikipedia temptations. They are ugly things, but great for timber conservation. Not so good for stray vehicles. People love to hate them and hate to love them, even when some councils use them as canvas for street art. I haven’t a clue. But I have seen poles like that here in the United States. Somewhere. Not sure where though. Well, you’ve created a mystery and now I just have to follow the clues. Hope you are going to lead us down the yellow brick road to the answer. Do not fear. All shall be revealed later today.